Beautiful. Powerful. 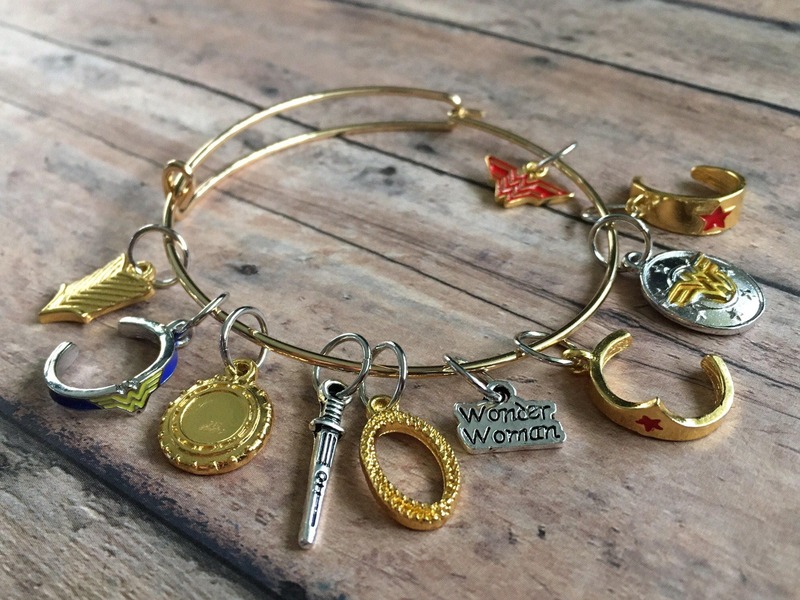 Show your respect for Wonder Woman with this set of 10 stitch markers! Sized to fit up to US 9/4.5 mm needles, these charms are a mixture of red, blue, yellow, gold, and silver. This set has it all: the tiara, the shield, the sword, the lasso, the arm band, and more! This set also includes a golden wire bracelet, which allows you to wear your markers in style while still retaining easy access to your markers. When you're ready to use one, simply unhook the bracelet, slide off a marker, and you're ready to mark your place!